Editor's Note: I have since reviewed the GOrun Ride 7 HERE. Check out the review for a fantastic update. Long before this blog, my first Skechers Performance shoe was the GOrun Ride. Back when I was into minimal shoes but was looking for something a little more cushioned, that shoe fit well with a wider toebox and lower drop. What stopped me from liking them more was a lack of durability as I started tearing through the outsole very quickly. Fast forward to now when I train in a variety of shoes (many of them from Skechers Performance) I have only briefly tried on later versions of the GOrun Ride series. Previously they continued to feel like the more cushioned version brother to the normal GOrun. I had very similar expectations when trying on version 6 and found something very different. How so? Let's talk. Ride/Sole: The GOrun Ride 6 is one few remaining Skechers Performance shoes with the outsole pods still present (aka "sensors"). Having not run in a shoe with those for a while, they had an odd step in feel that disappeared fairly quickly. 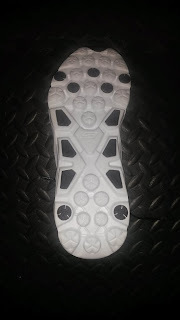 While it is an interesting sensation, I prefer the full ground contact outsoles of the Razor, Speed, GOrun 5 and Forza (SEE REVIEW PAGE) given the better traction and balance provided. The M-Strike is still present (also a feature disappearing from Skechers Performance shoes) and again felt a bit odd compared to the smoother rides of the more recent shoes I have tried. For those that like that ride, it has remained the mostly same in the GOrun Ride 6. The only difference is that it is a bit more prominent given that the Ride 6 seems to be firmer than previous versions. My understanding was that the Ride was supposed to be the more cushioned version of the normal GOrun series. At the moment, while lighter, the GOrun 5 (REVIEW) is a softer shoe than previous versions. The GOrun Ride seems to have switched as well as the midsole feels firmer compared previous iterations. So they have switched roles a little in terms of firmness, but the GOrun 5 continues to be the lighter and faster of the two. At 8.3 ounces, while light, the GOrun Ride 6 still fits the bill of a light weight trainer that will work well for those looking for a little more shoe in a daily trainer or long distance racer. They do have the same 4-6 mm heel drop, which has stayed consistent in the GOrun Ride 6. Durability wise I would expect to get fairly similar mileage to past podded outsole models at 200-300 miles. I have not taken the shoes that far and while they may do a bit better with the increased mid/outsole firmness, past models do not typically last past that due to the exposed midsole. This may be more or less depending on your typical shoe wear, how hard/soft you land and your other biomechanical factors. Upper/Feel/Fit: The upper is the biggest difference from previous versions. The GOrun Ride 6 now has a GOknit upper instead of the mesh used previously. It looks similar to the GOrun 5, but there are some differences. 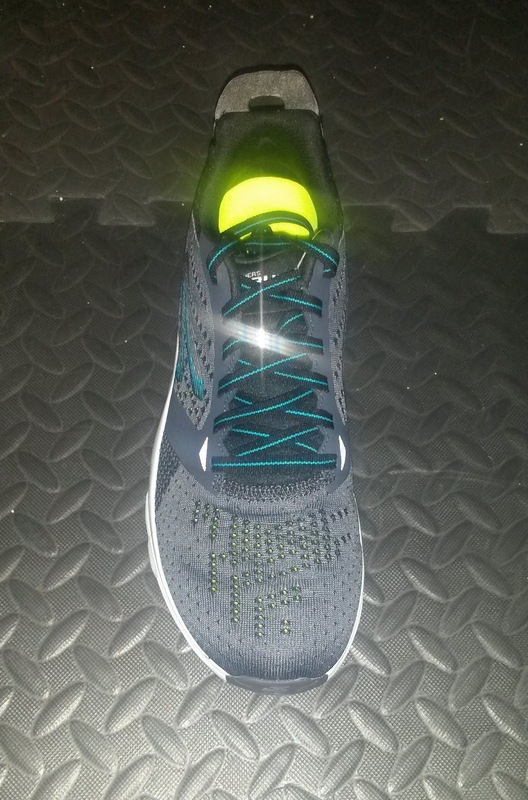 The mesh holes over the forefoot are far more airy the the GOrun 5 and the shoe ventilates well. This would be a good shoe for warm days but not likely for colder ones. To be fair, Skechers Performance is based in Southern California, which is NOT one of the colder places on this planet. The GOknit does provide a bit more of a custom fit than the mesh used in previous versions but also has more flexibility. Overall thought the ride does feel a bit narrower than previous versions, so for those with narrow feet, this may be one of the Skechers Performance shoes along with the GOrun 5 you might want to check out. 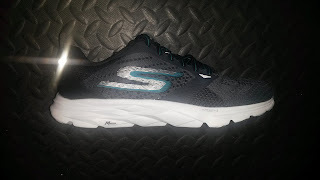 While slightly narrower (emphasis on slight), the forefoot continues to have the typical and more rounded fit that Skechers Performance shoes have had in the past. So I felt no toe pinching at all. While I have not put enough miles on the GOrun Ride 6 to really assess durability, I can say that the GOknit uppers have been very durable and I have not seen any issues despite +200 miles on my pairs of Razors and GOrun 5 (I am close to 100 miles on my Speed 4s and also see no issues). Thoughts as a DPT: As mentioned above, the GOrun Ride 6 retains the M-Strike that is starting to disappear from Skechers Performance shoes. While I think it is a unique feature, I am not missing it from the GOrun 5, Speed or Razor (which have very smooth rides). The footstrike debate has gone on for some time and hopefully is starting to die down. Why? Because landing mid/forefoot is not magic. That type of initial loading pattern is not some magic cure for all injuries and is not a sure way to run faster. Shifting from a heel strike pattern of gait to a forefoot/midfoot style simply moves the loads to different structures. With a heel strike pattern, you tend to load more of the knee/hip joints as well as the quadriceps and (hopefully) gluteal muscles. With a forefoot strike pattern, you tend to load the ankle and calf heavily. If you have calf or ankle problems, perhaps a forefoot strike pattern may not be best for you if you are thinking of changing. Because the excessive loading problem you have will just switch joints. One of the major problems I see in many injured runners is an inability to appropriately load and deal with the high impact loads of running regardless of footstrike. While walking is generally believed to produce forces equal to your body weight, running generates loads into your system equal to 3-4 times your body weight. That is a great deal of force that needs to be dealt with every time you take a step. If you do not develop the appropriate strength, eccentric loading abilities and ideal movement patterns NOT JUST AT THE ANKLE, then you will have problems. Foot strike only really focuses on the ankle joint. The body is far more complex than one joint and for optimal movement, you HAVE to look at the ankle, knee, hip, back and more to figure out where an injury or performance deficit is coming from. Otherwise performance enhancement, medicine and rehab would be extremely easy (Pro tip from a DPT: it is not). There is a variety of evidence on this topic, one in particular that was brought to my attention from Dr. Craig Payne over at the Running Research Junkie. An article was just published from Dr. Joseph Hamill, PhD, who is a particular expert in running biomechanics and human locomotion. After extensively searching the literature, it appeared that there is very little evidence to support changing footstrike patterns to improve running economy or that it even reduces injury rate (Hamill & Gruber, 2017). There appeared to be some thought that as I mentioned above, you are actually increasing the tissue stress elsewhere, which could potentially increase your injury risk (that is my takeaway). The message here? Don't throw all your eggs in the footwear basket. I will discuss this more in a future post or you can see the extensive posting Craig has done in this area on his blog. Conclusion: While the GOrun Ride 6 retains many of the standard features that it has in the past (wide toe box, M-Strike, etc), there are a few things that have changed. It has a GOknit upper but now has a firmer ride than the GOrun 5, with a similar weight to the Razor but slightly less shoe there. It is an interesting mix of a shoe. Where it fits into the Skechers Performance line in my opinion is for those who would like a combination of the GOrun 4 and the GOrun Ride 5. Those shoes seem to have melded into this one. If you are looking for a combination of those two, this is a great one to look at. 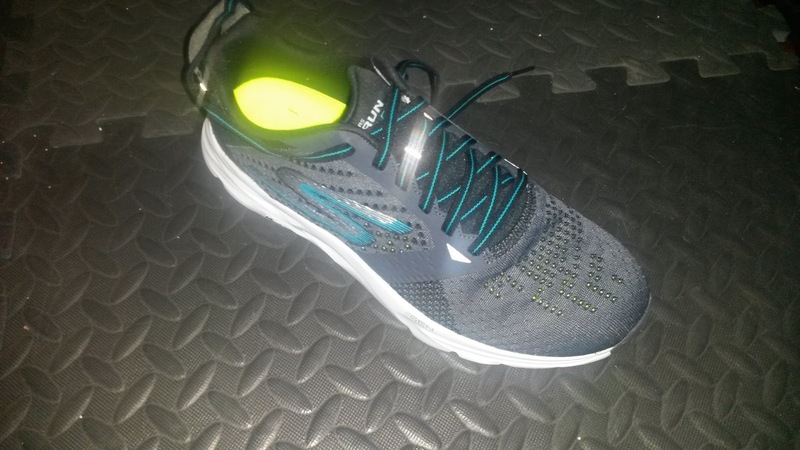 For a more performance oriented feel, I would still look at the GOmeb Speed, Razor or GOrun 5, but the GOrun Ride 6 will fit your lightweight trainer needs.